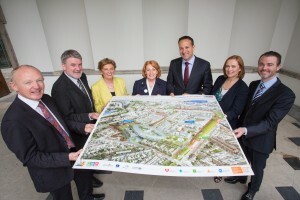 From left John Pollock, Project Director, NPHDB; Dr. Sean Walsh, Interim CEO, Our Lady’s Children’s Hospital Crumlin; Mona Baker, CEO, Temple Street Children’s University Hospital; Minister of State for Primary Care, Mental Health and Disability, Kathleen Lynch TD; Minister for Health Leo Varadkar TD; Eílish Hardiman, CEO, Children’s Hospital Group; David Slevin, CEO, Tallaght Hospital in Leinster house as the National Paediatric Hospital Development Board (NPHDB) today shared the latest designs for the new children’s hospital with members of the Oireachtas and with residents in the local Dublin 8 community. These meetings build on the extensive engagement that has taken place in recent weeks with patient advocacy groups, existing children’s hospital staff, families and the national Youth Advisory Committee. Local TD and Health Minister Leo Varadkar joined key people from the new Children’s Hospital project in Leinster House to see the new designs for the world-class facility. 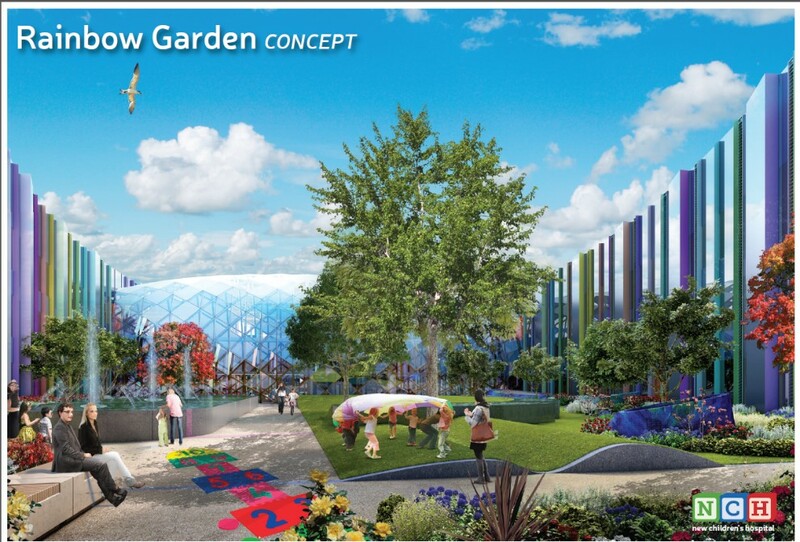 The National Paediatric Hospital Development Board (NPHDB) today shared the latest designs for the new children’s hospital with members of the Oireachtas and with residents in the local Dublin 8 community. These meetings build on the extensive engagement that has taken place in recent weeks with patient advocacy groups, existing children’s hospital staff, families and the national Youth Advisory Committee. The engagement sessions have helped to inform the latest designs that are being shared today. 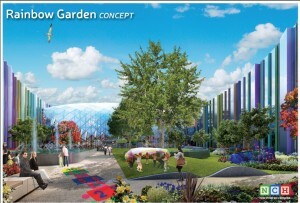 The new children’s hospital will see Temple Street Children’s University Hospital, Our Lady’s Children’s Hospital Crumlin and the National Children’s Hospital at Tallaght Hospital come together under ‘one roof’ in an exemplary facility on a campus shared with St. James’s Hospital and a maternity hospital. The tri-location of the hospitals on the same campus will facilitate the transition of medical care at all stages of life, offering the best possible care for infants, mothers, children and young adults. • A multi-level day-lit concourse connects the main entrance with the hospital’s other principal public entrance from the LUAS, a 2-minute walk away. • On the west side of the concourse, overlooking the South Circular, the outpatient clusters are grouped within four wings arranged around three garden courtyards. • Other family accommodation includes a 52-bed facility near the entrance.